As millions of families start to think about Chinese New Year celebrations, which commence this year on February 19, Toronto-based digital media company Mark Animation is pleased to announce the release of Miaomiao’s Chinese New Year, a new preschool interactive story app for iOS that is now available in the Apple App store. 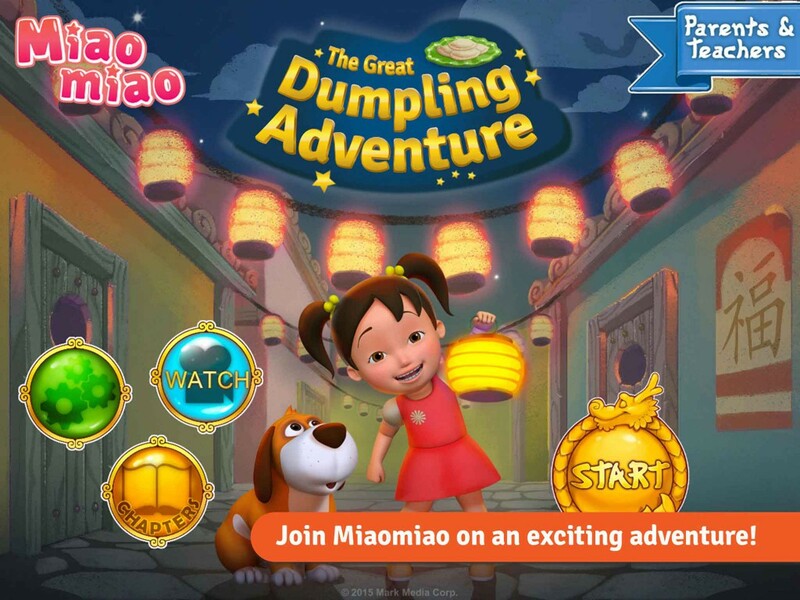 This adorable, narrated story takes children on an interactive Chinese New Year adventure with Miaomiao and her sidekick puppy Doudou. Can they find the stolen dumplings and save the Lantern Festival? 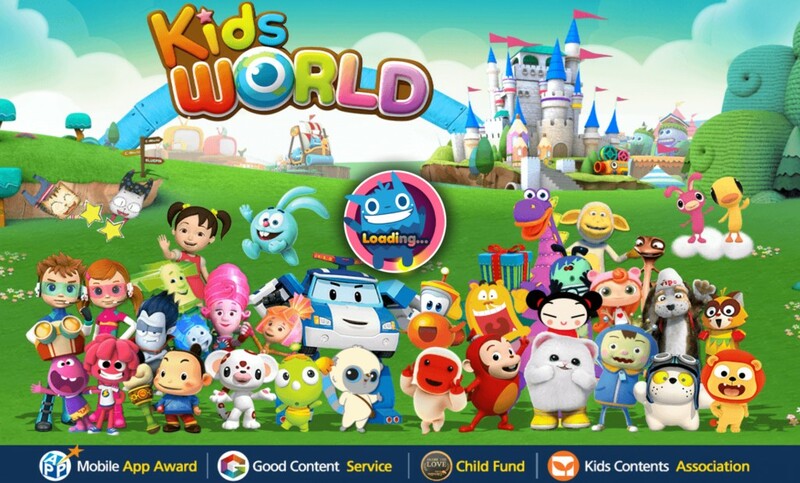 Throughout the app, children must help Miaomiao and Doudou by completing fun and intuitive mini games that advance the story. With explanations of cultural traditions and 20 easy-to-learn Mandarin vocabulary, every page is full of Chinese New Year-themed words and fun interactions waiting to be discovered. Chinese New Year is a very important holiday in our family and we wanted to share its traditions with everyone. Now kids of all backgrounds can share in the fun of dumplings, dragon dances and fireworks at this special time of year. —Faye Li, Creative Director, Miaomiao. 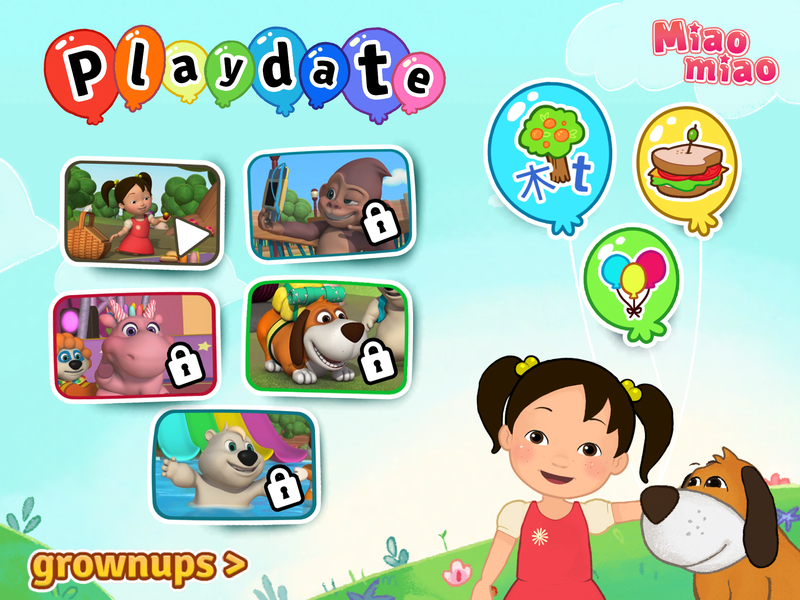 70+ interactions to explore including fun animations, sounds, vocabulary and a few surprises! 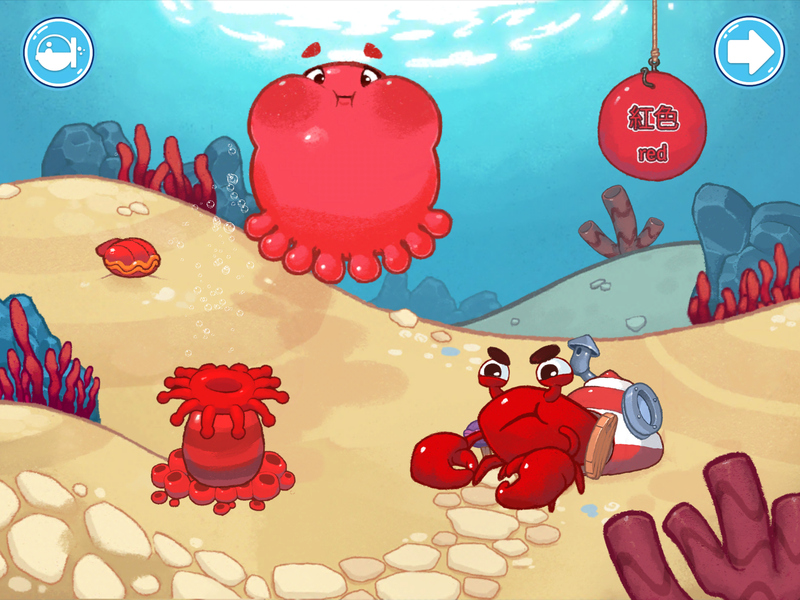 5 great mini-games that help advance the story: Making Dumplings, Connect the Stars, Build a Bridge, Dragon Dance and a Matching Card Game. 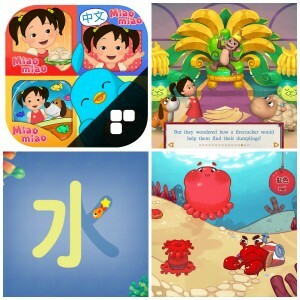 Along with Miaomiao’s Chinese New Year app, Mark Animation has launched an early education resource website for parents and teachers that helps teach kids about Chinese culture and vocabulary through fun activities and lesson ideas. All of this content is free and no registration is required to access it. 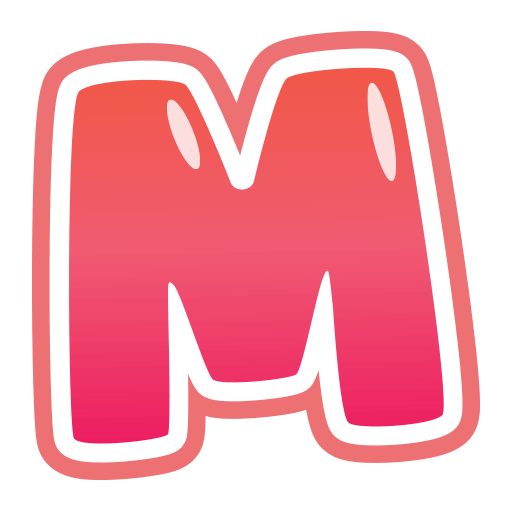 In addition to the Miaomiao’s Chinese New Year app, Mark Animation is also completing production of a 3-episode animated television special about Miaomiao’s Chinese New Year adventures for international broadcast partners. 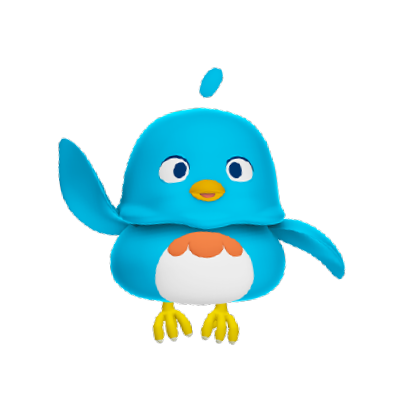 Mark Animation is an exciting new film, television and interactive digital media company based in Toronto that combines culture and modern technology to create properties that entertain, inspire and educate across media platforms. 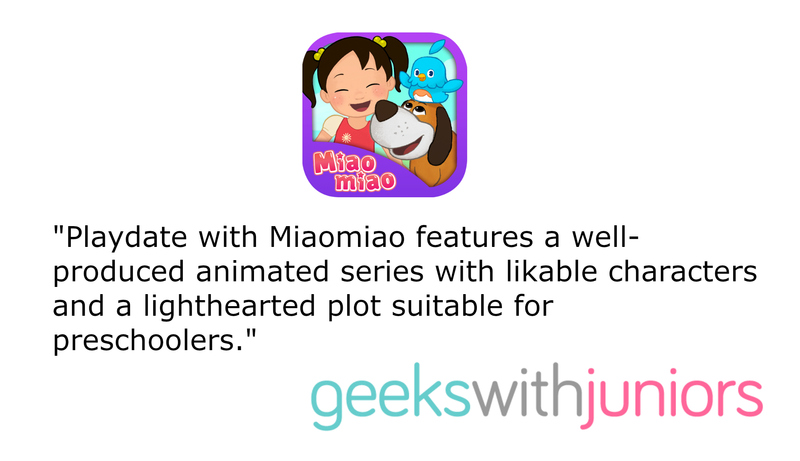 Miaomiao is an exciting new preschool digital media series that introduces young children to the amazing world of early language learning through fun adventures and games that introduce Mandarin Chinese.